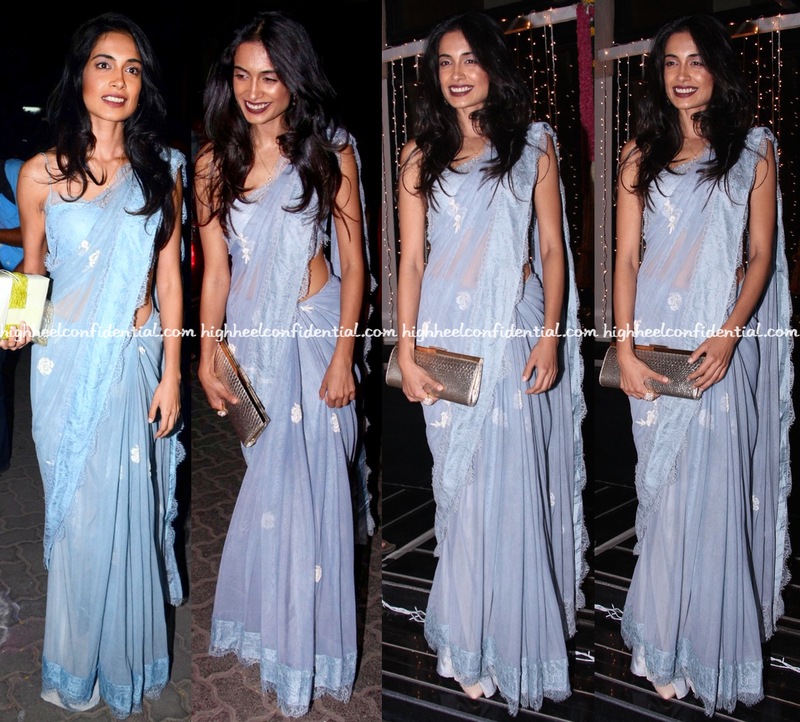 Keeping things simple in a sari, Sarah attended back-to-back soirées over the past weekend. Wearing her hair down, she finished out the look with a dark-toned lip color and metallic clutch. While we are all for minimalism, given the occasion, wish she had added some jewelry to the look. That aside, Ms. Dias did look nice. underdressed ke bhi hadh hoti jai! Love this minimalism…she is wearing very subtle jewelry. She looks great. This is a kind of nonchalant dressing with the improper pleats but still nice and works for her. HHC – Can you ID the clutch, please? That’s some serious contouring going on. Underdressed for Diwali. This is a better daytime look in any case, not for an evening soiree. Liking the contrast of her flowing dark mane against the light blue Saree. I thought it was Priyanka Chopra at first .. Her hair, saree and figure reminds me of Priyanka so much .. I think delicate sarees need to be draped well to look elegant. Or else they look messy and unflattering. Which is what has happened in this case.